We are excited to offer this 2018 Volkswagen Golf. Just what you've been looking for. With quality in mind, this vehicle is the perfect addition to take home. This vehicle won't last long, take it home today. You can finally stop searching... You've found the one you've been looking for. This is the one. Just what you've been looking for. Prices do not include sales tax, vehicle registration, document preparation fee. We are excited to offer this 2019 Volkswagen Beetle. This Volkswagen includes: VW CARE MOJO MATS W/LOGO CARPETED MAT KIT Floor Mats FIRST AID KIT *Note - For third party subscriptions or services, please contact the dealer for more information. * Save money at the pump with this fuel-sipping Volkswagen Beetle. The look is unmistakably Volkswagen, the smooth contours and cutting-edge technology of this Volkswagen Beetle S will definitely turn heads. You can finally stop searching... You've found the one you've been looking for. Prices do not include sales tax, vehicle registration, document preparation fee. We are excited to offer this 2019 Volkswagen Beetle. This Volkswagen includes: VW CARE MOJO MATS W/LOGO CARPETED MAT KIT Floor Mats FIRST AID KIT *Note - For third party subscriptions or services, please contact the dealer for more information. * Stylish and fuel efficient. It's the perfect vehicle for keeping your fuel costs down and your driving enjoying up. Just what you've been looking for. With quality in mind, this vehicle is the perfect addition to take home. You've found the one you've been looking for. Your dream car. We look forward to seeing you soon! Please call us for more information. We are excited to offer this 2019 Volkswagen Beetle. This Volkswagen includes: FIRST AID KIT DEEP BLACK PEARL METALLIC MOJO MATS W/LOGO CARPETED MAT KIT Floor Mats BEIGE, PERFORATED V-TEX LEATHERETTE SEATING SURFACES Premium Synthetic Seats CHROME EXHAUST TIPS (SET OF 2) (PIO) *Note - For third party subscriptions or services, please contact the dealer for more information. * The look is unmistakably Volkswagen, the smooth contours and cutting-edge technology of this Volkswagen Beetle SE will definitely turn heads. You can finally stop searching... You've found the one you've been looking for. The Volkswagen Beetle SE will provide you with everything you have always wanted in a car -- Quality, Reliability, and Character. Prices do not include sales tax, vehicle registration, document preparation fee. We are excited to offer this 2019 Volkswagen Beetle. This Volkswagen includes: VW CARE MOJO MATS W/LOGO CARPETED MAT KIT Floor Mats CHROME EXHAUST TIPS (SET OF 2) (PIO) *Note - For third party subscriptions or services, please contact the dealer for more information. * You could keep looking, but why? You've found the perfect vehicle right here. This vehicle won't last long, take it home today. You can finally stop searching... You've found the one you've been looking for. Prices do not include sales tax, vehicle registration, document preparation fee. We are excited to offer this 2019 Volkswagen Golf GTI. This Volkswagen includes: PRISM REARVIEW MIRROR Universal Garage Door Opener TITAN BLACK W/CLARK PLAID, CLOTH SEATING SURFACES Cloth Seats FIRST AID KIT RUBBER MATS KIT Floor Mats *Note - For third party subscriptions or services, please contact the dealer for more information. * This is about the time when you're saying it is too good to be true, and let us be the one's to tell you, it is absolutely true. The look is unmistakably Volkswagen, the smooth contours and cutting-edge technology of this Volkswagen Golf GTI S will definitely turn heads. The Volkswagen Golf GTI S will provide you with everything you have always wanted in a car -- Quality, Reliability, and Character. Prices do not include sales tax, vehicle registration, document preparation fee. We are excited to offer this 2019 Volkswagen Golf GTI. This Volkswagen includes: VW CARE RUBBER MATS KIT Floor Mats DRIVER ASSISTANCE PACKAGE Blind Spot Monitor Cross-Traffic Alert *Note - For third party subscriptions or services, please contact the dealer for more information. * Start enjoying more time in your new ride and less time at the gas station with this 2019 Volkswagen Golf GTI. You've found the one you've been looking for. Your dream car. The look is unmistakably Volkswagen, the smooth contours and cutting-edge technology of this Volkswagen Golf GTI S will definitely turn heads. Prices do not include sales tax, vehicle registration, document preparation fee. We are excited to offer this 2019 Volkswagen Beetle Convertible. This Volkswagen includes: MONSTER MATS W/LOGO RUBBER MAT KIT (SET OF 4) (PIO) Floor Mats FIRST AID KIT *Note - For third party subscriptions or services, please contact the dealer for more information. * In just a matter of seconds, this Volkswagen Beetle Convertible turns into a convertible for extra fun on a beautiful sunny day. The look is unmistakably Volkswagen, the smooth contours and cutting-edge technology of this Volkswagen Beetle Convertible SE will definitely turn heads. Just what you've been looking for. With quality in mind, this vehicle is the perfect addition to take home. Prices do not include sales tax, vehicle registration, document preparation fee. We are excited to offer this 2019 Volkswagen Golf GTI. This Volkswagen includes: LUGGAGE NET FIRST AID KIT RUBBER MATS KIT Floor Mats *Note - For third party subscriptions or services, please contact the dealer for more information. * Why spend more money than you have to? This Volkswagen Golf GTI will help you keep the extra money you'd normally spend on gas. The Volkswagen Golf GTI Rabbit Edition will provide you with everything you have always wanted in a car -- Quality, Reliability, and Character. You can finally stop searching... You've found the one you've been looking for. Prices do not include sales tax, vehicle registration, document preparation fee. We are excited to offer this 2019 Volkswagen Golf GTI. This Volkswagen includes: FIRST AID KIT FRAMELESS SELF-DIMMING REARVIEW MIRROR Auto-Dimming Rearview Mirror Universal Garage Door Opener LUGGAGE NET RUBBER MATS KIT Floor Mats *Note - For third party subscriptions or services, please contact the dealer for more information. * You've found the one you've been looking for. Your dream car. There is no reason why you shouldn't buy this Volkswagen Golf GTI SE. It is incomparable for the price and quality. You can finally stop searching... You've found the one you've been looking for. Prices do not include sales tax, vehicle registration, document preparation fee. We are excited to offer this 2019 Volkswagen Golf GTI. This Volkswagen includes: RUBBER MATS KIT Floor Mats FIRST AID KIT FRAMELESS SELF-DIMMING REARVIEW MIRROR Auto-Dimming Rearview Mirror Universal Garage Door Opener LUGGAGE NET SE EXPERIENCE PACKAGE Premium Sound System Active Suspension *Note - For third party subscriptions or services, please contact the dealer for more information. * Why spend more money than you have to? This Volkswagen Golf GTI will help you keep the extra money you'd normally spend on gas. This vehicle won't last long, take it home today. This is the one. Just what you've been looking for. Prices do not include sales tax, vehicle registration, document preparation fee. We are excited to offer this 2019 Volkswagen Golf R. You appreciate the finer things in life, the vehicle you drive should not be the exception. Style, performance, sophistication is in a class of its own with this stunning Volkswagen Golf R. Few vehicles can match the safety and comfort of this AWD Volkswagen Golf R . With enhanced performance, refined interior and exceptional fuel efficiency, this AWD Volkswagen is in a class of its own. There is no reason why you shouldn't buy this Volkswagen Golf R . It is incomparable for the price and quality. You can finally stop searching... You've found the one you've been looking for. We look forward to seeing you soon! Please call us for more information. We are excited to offer this 2019 Volkswagen Golf R. This Volkswagen includes: GLOSS BLACK ALLOY WHEELS PACKAGE Aluminum Wheels RUBBER MATS KIT Floor Mats ROADSIDE ASSISTANCE KIT LUGGAGE NET VW CARE *Note - For third party subscriptions or services, please contact the dealer for more information. * You appreciate the finer things in life, the vehicle you drive should not be the exception. Style, performance, sophistication is in a class of its own with this stunning Volkswagen Golf R. Take home this 2019 Volkswagen Golf R and enjoy the safety and added performance of AWD. This is the one. Just what you've been looking for. Prices do not include sales tax, vehicle registration, document preparation fee. We are excited to offer this 2019 Volkswagen Beetle Convertible. Let a little sunshine in. Just drop the top of this Volkswagen Beetle Convertible convertible and go. The look is unmistakably Volkswagen, the smooth contours and cutting-edge technology of this Volkswagen Beetle Convertible S will definitely turn heads. You can finally stop searching... You've found the one you've been looking for. Just what you've been looking for. With quality in mind, this vehicle is the perfect addition to take home. Prices do not include sales tax, vehicle registration, document preparation fee. Prices are for the vehicle only and are including any available Dealer Offers, Lease Bonus, and Customer Cash or all that will correspond to buying eligibility. All prices mentioned are in lieu of incentivized rates (unless noted) and must be in dealer stock. Prices do not include dealer installed options, additional fees and costs of closing, including government fees and taxes, any finance charges, any dealer documentation fees, any emissions testing fees or other fees. We appreciate your interest in our inventory, and apologize we do not have model details displaying on the website at this time. Please fill the form out below and our team will quickly respond, or, please call us at 855-347-7694 for more information. 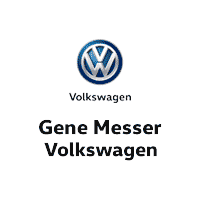 Gene Messer Volkswagen	29.7777148, -95.5441151.